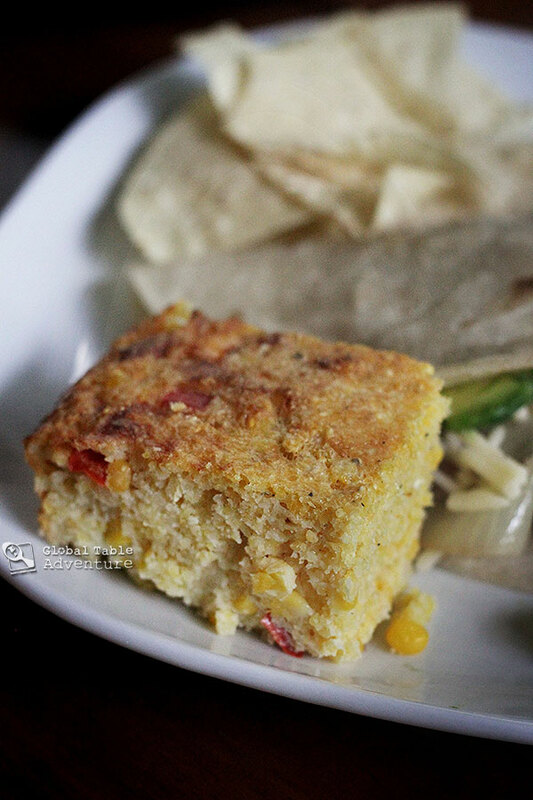 Rumor has it, no meal is complete in Paraguay without a slice of warm, cheesy cornbread. While sopa means soup in Spanish, this is definitely bread and… traditionally, all mixed up with a happy bundle of homemade cheese. 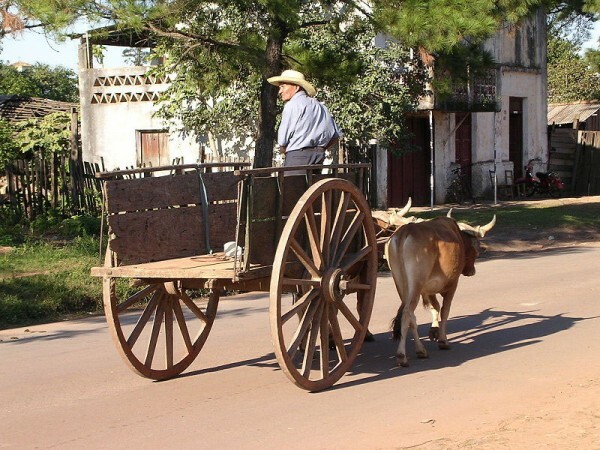 One of our readers – Emily – says everyone in Paraguay makes their own cheese so that this would be no big deal to a local. I read up on the origins of this bread… there are two main versions. In the first version, Don Carlos ( President of Paraguay from 1842-62) requested his favorite white soup for dinner – one made with cheese, egg, corn flour, and loads of milk. One day the chef put too much corn flour in the soup and decided to bake it up as bread in cast iron. 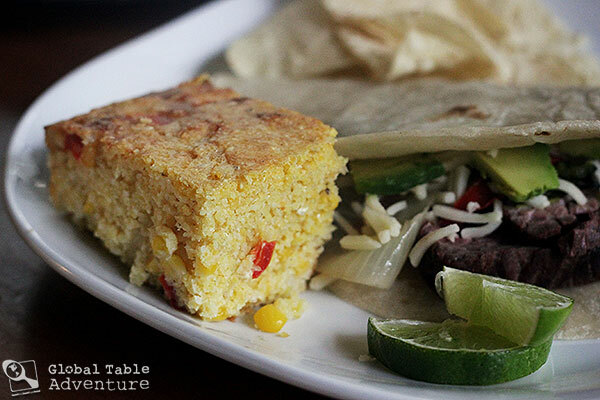 The new dish became a hit and Don Carlos dubbed it Sopa Paraguaya. 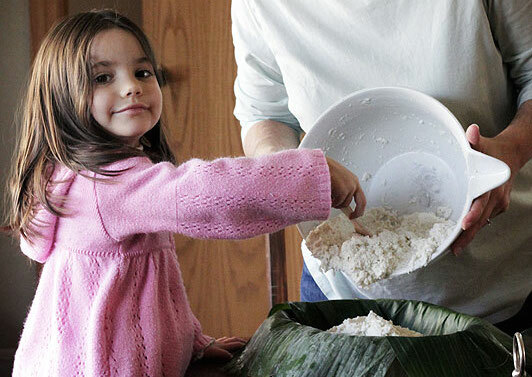 In ancient times, this food was made with fresh corn and cooked in the “ñaúpyvú” (clay pot), not in the oven “modern” inherited from the colonizers. Everything suggests that the first Iberians who arrived to Guarani lands called “soup” to the food that was boiled in ñaúpyvú. It is believed that finished adding “Paraguayan” (demonym that was used in colonial times to denote the area of the Jesuit-Guarani missions), to distinguish it from the soup (broth) prepared by the Europeans. 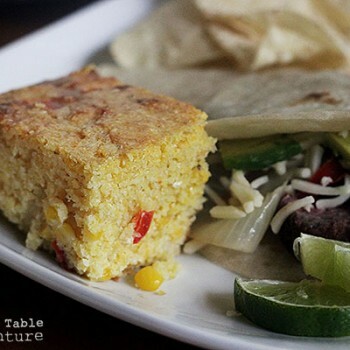 Our version is an amalgamation of Sopa Paraguaya and the other very popular, corn-studded bread called Chipa Guasú. 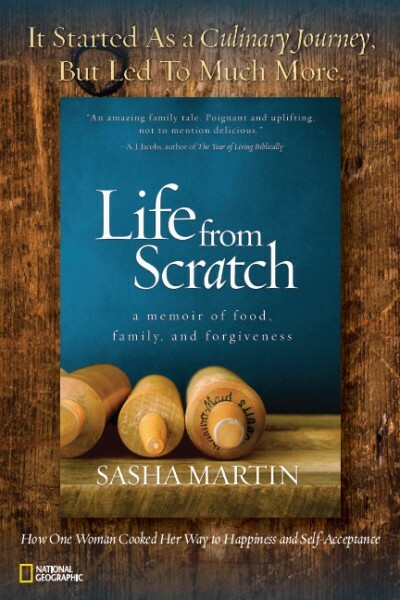 It’s a very loose adaptation to recipes found in the World Cookbook for Students and on King Arthur Flour. 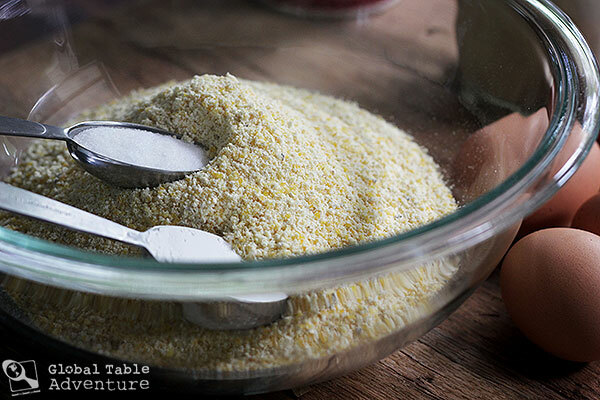 Let’s make cornbread. Your ride awaits, my friend. Traditional “Carreta” in the streets of Coronel Oviedo city, in Paraguay. Photo by Bruno Arriola. 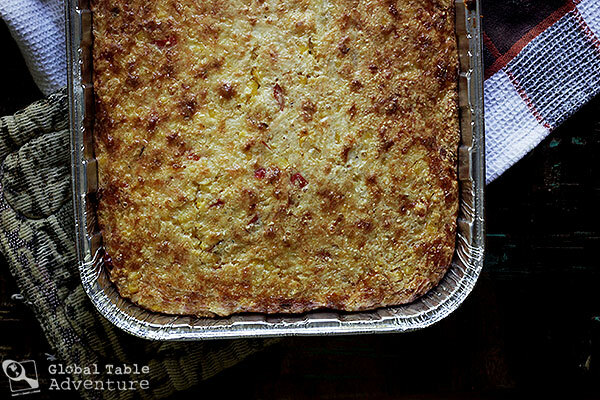 Possibly what I love most about this cornbread is all the yummy goodies you’ll find inside. 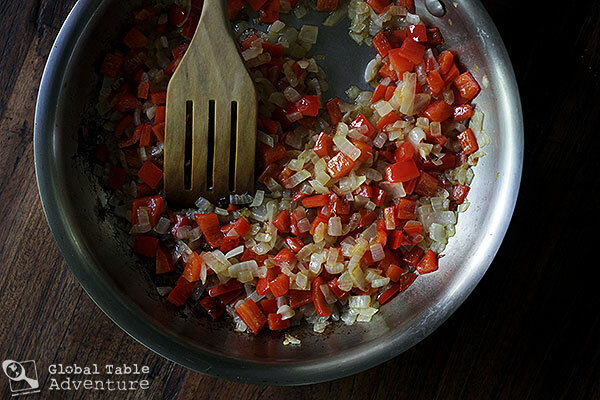 Fry onion and pepper in butter until soft and beginning to turn golden. Hello. Now the house smells good. Set aside to cool. Preheat the oven to 375F and butter a 9×11 baking pan. Meanwhile, whisk together cornmeal, baking powder, salt, and pepper. 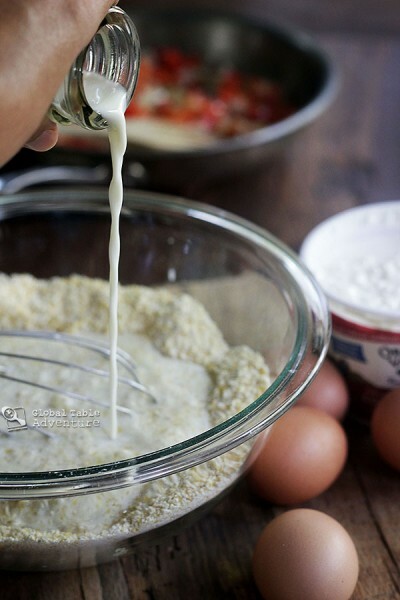 Add in the milk, cottage cheese, and eggs. 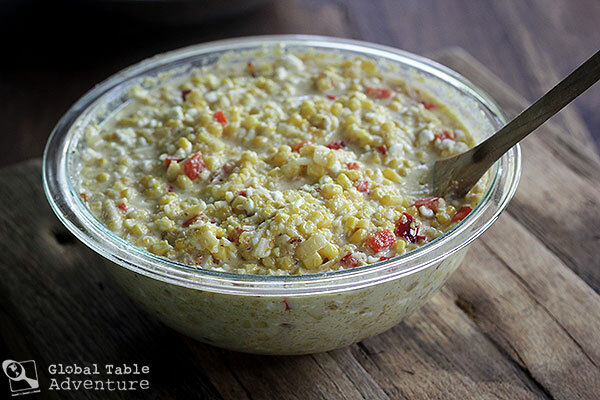 When smooth, mix in the cooled onion mixture, corn and the cheese. Note to self: use a larger bowl next time. Put in a buttered 11×9 baking pan. Cook for 45 minutes to 1 hour, or until firm to the touch and an inserted toothpick comes out clean. Mine was perfect after 45 minutes. Let cool a few minutes, then slice in squares. 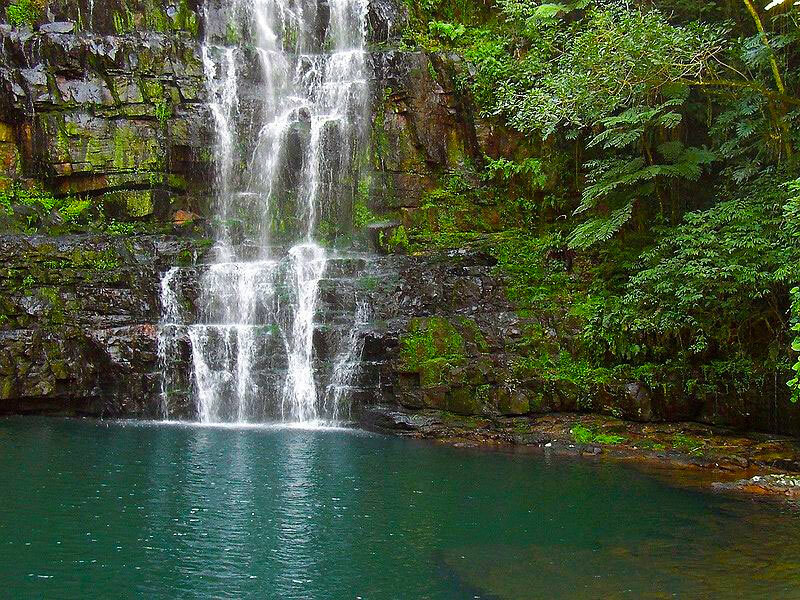 … preferably, in the mist of a Paraguayan waterfall, where you can conveniently lose your watch and while away until sunset in cornbread bliss. Salto Cristal (Crystal Falls), Yvyku’i National Park. 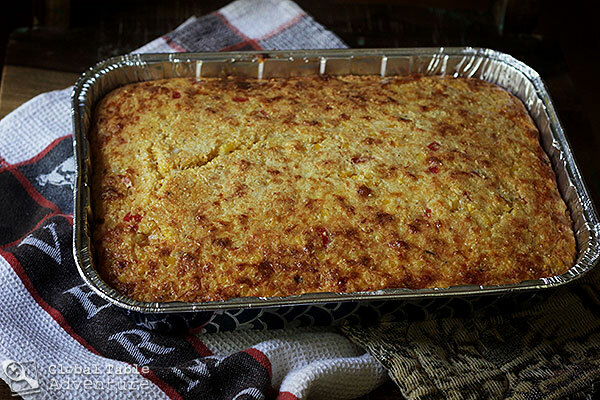 Rumor has it, no meal is complete in Paraguay without a slice of warm, cheesy cornbread. While sopa means soup in Spanish, this is definitely bread and… traditionally, all mixed up with a happy bundle of homemade cheese. One of our readers – Emily – says everyone in Paraguay makes their own cheese so that this would be no big deal to a local.Our version is an amalgamation of Sopa Paraguaya and the other very popular, corn-studded bread called Chipa Guasú. 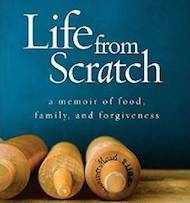 It’s a very loose adaptation to recipes found in the World Cookbook for Students and on King Arthur Flour. Fry onion and pepper in butter until soft and beginning to turn golden. Set aside to cool. Preheat the oven to 375F and butter a 9×11 baking pan. Meanwhile, whisk together cornmeal, baking powder, salt, and pepper. Put in a buttered 11×9 baking pan. Cook for 45 minutes to 1 hour, or until firm to the touch and an inserted toothpick comes out clean. Mine was perfect after 45 minutes. Let cool a few minutes, then slice in squares. 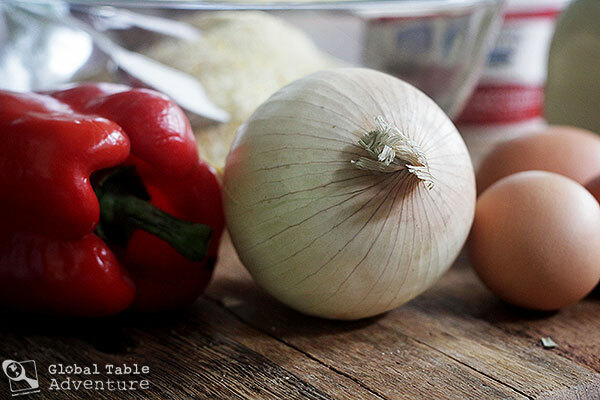 Ooooh, I’m absolutely definitely makng this with a red bean curry for dinner tonight! Listening to you on Rick Steve s….great job!!! Hi, great recipe! Quick question: should I use a 9×11 pan or a 11×9 pan? Your recipe cites both dimensions. Thanks!